Wait, Mother’s Day is already passed, a day to recognize the special contributions that mother’s play in our lives. I am really sorry as I am late to tell you guys that to commemorate this grateful day, WonderFox exclusively released a special “Senior Version” software — design & optimized for the elders. Meanwhile on the point of releasing the special version, WonderFox Soft provides a great giveaway of WonderFox DVD Video Converter to TechnoGiants readers. I believe you can’t refuse such thoughtful gift. 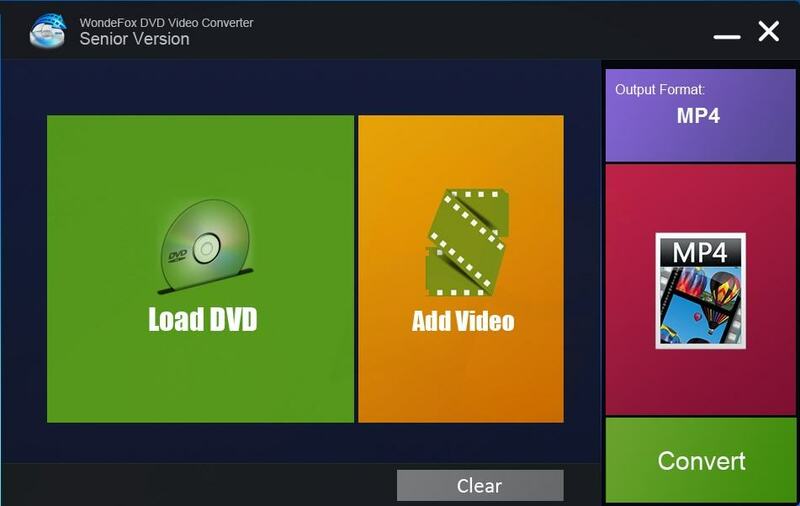 Developed by WonderFox Soft, WonderFox DVD Video Converter is a champion product to provide one-stop multimedia solution, including rip DVD (released by Disney, Paramount, Sony, etc), convert video to 200+ formats and devices, download online video, make ringtone and video edit. A new feature “Senior Mode” is added to the newest version 8.2 for elder users. The Senior Mode is particularly designed & optimized for the elders, with larger size of font & buttons and simplified options. It is easy-to-use and has a friendly & intuitive interface for seniors or novices. Online Video Downloader – Download video from YouTube and other popular websites. Ringtone Studio – Make Your Ringtones Unique and Popular! Super Fast Conversion Speed – 50X faster than ever before! Video Editor – Merge, Trim, Crop and Add Special Effects to Video. Just 3 steps to solve the issues about DVD/video! Everything is getting simple now! Let’s see how to enter the Senior Version and then rip a DVD. Open WonderFox DVD Video Converter and click the “GLASS” button on the tool bar to enter Senior Mode. Click “Convert” button to run the progress and then get the digital copy. How to Get WonderFox DVD Video Converter FREE? Just simply go to the official giveaway page and get the giveaway product. Download the zip file which includes the installer and a text file containing your license code. Install it to your PC and register with the license key you’ve got. Don’t miss this great opportunity to get the special GIFT! Install the Senior Version for Moms, show deep gratitude and enjoy happiness & touching moments with Mom!! This offer is valid last long till June 1st, 2015. Please remember that Freebie/Giveaway Version works the same as Full Version, you can enjoy all features and functions without any limitation. But it doesn’t support future update and technical support. Also you can use Freebie/Giveaway Version as long as you like. However, your registered license code will be invalid if you miss expiry date for activation OR reinstall your PC. Except the above promotion, there is one deal also going on which is really very special one. If you buy WonderFox DVD Video Converter Family Pack, you will get PearlMountain CollageIt totally free. You can get One purchase for licensing on 5 PCs along with Free upgrades for lifetime, the latest festival themes for FREE, VIP Technical Support etc. The overall price is $119.85 but you have to pay only $34.95 to grab the deal. So now tell me, Isn’t great deal?? Want this deal, click this landing page. Freebie: Ashampoo WinOptimizer 11 – Now for FREE!